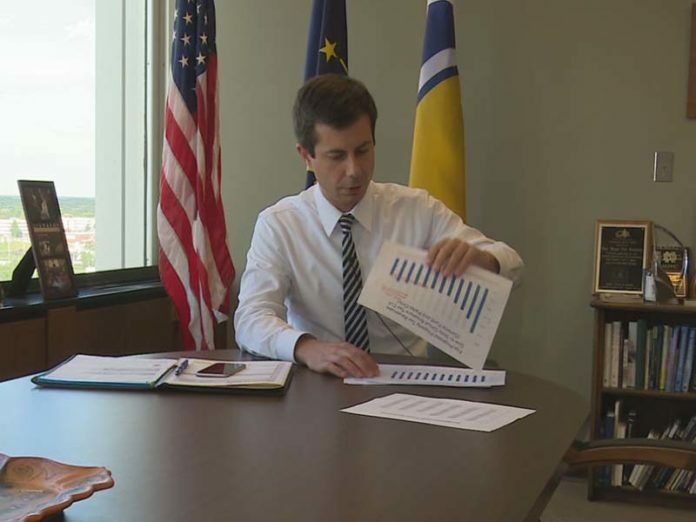 WASHINGTON (AP) — On the campaign trail, Democratic presidential contender Pete Buttigieg blasts Vice President Mike Pence’s cultural and religious conservatism. But as the mayor of Indiana’s fourth largest city, his tone toward the state’s Republican former governor was more muted. Figures. What a hypocrite. Almost fell for it. Mayor Pete a different Democrat? What was I thinking?! Now that the progressive (socialist) democratic party has found their new puppet it is business as usual. This feels like Obama part two. Hopefully we have gotten smarter and will not get sucked in again for the inexperienced looks good sounds good propaganda. Here we go with the RFRA again. The National Religious Freedom Rights Act was introduced by Chuck Shumer D-New York followed a day later by a similar proposal from Ted Kennedy D-Mass, easily passed and signed into law by then President Bill Clinton. While not verbatim, the Indiana version is identical in spirit. Both are short, easy to read and publicly available. This is another non-issue brought up by either stupid, ignorant or just plain mean people meant, for whatever reason, to cast negative light on another. V-P Mike Pence is one of the “Good Guys”, not perfect (perfect died on the cross about two thousand years ago), but still, good. Mr. Mayor, is this really how you want to start your campaign for President of the United States? Kate I am in agreement with you. Yes, he’s a smart guy and has a proud service record. I’m not happy with his recent attacks on VP Pence. This was not justified as Mr. Pence never attacked or spoke bad towards Pete. For those of us more aligned with the Vice President’s view on this disagreement, we do not deserve to be attacked or branded by the intolerance of the left. Here’s a better way, you do your thing and we’ll do ours. Keep your sexual ideologies to yourself, and we’ll do the same. If you want to attack us with your ignorance of biblical truths, then you should expect it back. So, Romans 1 -2, can start to explain why we hold our biblical worldview beliefs on this topic. The last part of your post is right on track Kate. After listening to Mayor Pete’s father’s record of teaching at Notre Dame, and his worldview of politics was explained as far left of center; may he rest in peace. I hope the Mayor is truly more to the center than the plethora of democrat candidates. Our nation cannot withstand further transformation towards the Marxist Socialist mismanagement failures that history proves has never worked. That’s not what we are as a constitutional republic.